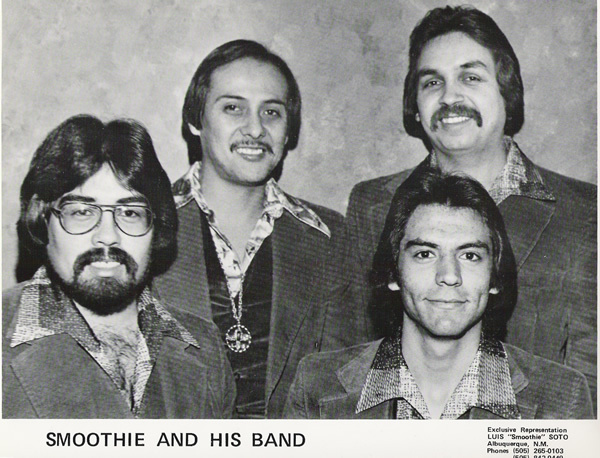 On January 15, 2005, Smoothie was inducted into the New Mexico Hispano Music Hall of Fame Foundation at the National Hispanic Cultural Center in Albuquerque, New Mexico. His main instrument is tenor sax. He also plays alto & baritone sax, clarinet and sings lead and background vocals. 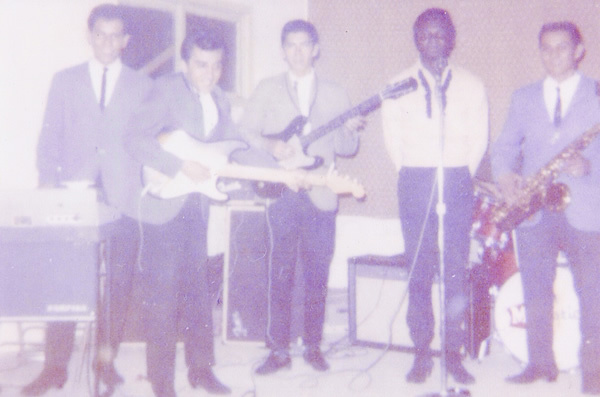 Smoothie started his career in 1964 with the Majestics. 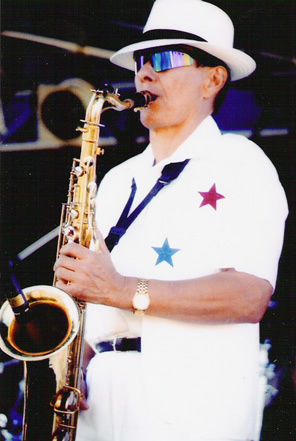 He continues to be part of the New Mexico Music Scene in 2006 playing with the Albuquerque Blues Connection. He also is working at Santa Fe Center Studios with producer Daryl Piper and Samara Music, ASCAP on a local original project. Smoothie, on a national level, has played with Rosie, who recorded the hit song Angel Baby, toured with Cleveland Duncan and the Penguins (Earth Angel) and Kenny Sweet lead singer of the Drifters. 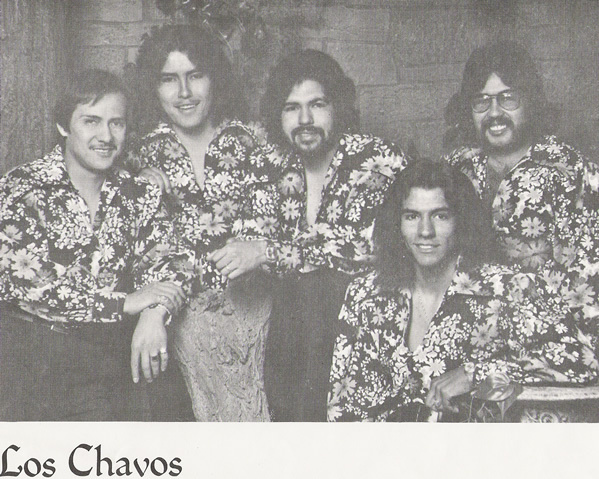 He has been the featured perfromer in the opened act for numerous major concerts and shows to include Clarence Gatemouth Brown, Lightening Hopkins, Tower of Power, The Diamonds, Tierra, Malo, El Chicano, Jimmy Edward, Latin Breed, Little Joe Y La Familia, Sunny and the Sunliners, Ruben Blades Y Son Del Solar, Lorenzo Antonio, Sparxs, Sidro's Armada, Mark Seven Unlimited, Los Chavos, Kan-Dells and Stephanie Montiel. People have heard his smooth sax at sit in jam or gig sessions behind artists like: Taylor Dayne, Pop Diva Queen of the 80's and 90's, Bruce Gibson of the Platters, Jimmy Edward and the Latin Breed, Johnny Hernandez, Randy Castillo former heavy metal drummer for Ozzy Osborne, more sit in sessions with the back up band of the Platters, members of the band War, George Tomsco and the Fireballs, Greg (Sticks) Brown former drummer of Stevie Wonder. Locally Smoothie has played in bands in his forty year career. Some of the Albuquerque bands Smoothie has been a member of are: The Majestics, Thee Broadway featuring Tommy G, Los Chavos, Amigas y su Grupo Ritmo, Seven Plus Tax, Night Shift, Brown Sugar, Flipside, Saxy, David & Co., Smoothie & The Funky Taco and The Big Kahuna Rhythm and Blues Revue, just to name a few. 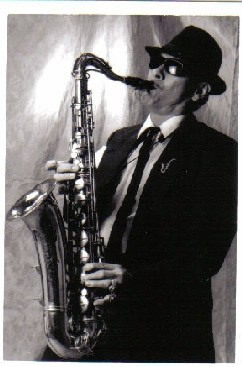 Smooth Man's Saxophone and Vocals can be heard on about twelve CD's with other artists. His influences on Sax are King Curtis, Boots Randolph, Stan Getz, Sam Butera, Lenny Picket, Maceo Parker, Kirk Whalum and Gerald Albright. Smoothies personal statement - It is a challenge to play various styles of music, one of the most important assets a musician can acquire. In the music field, an entertainer must work hard to keep up with the continuous changes of the music industry. The key to true success is DEDICATION! I enjoy performing because the music I project in my own pronounced style comes from my heart and soul and my improvising with feeling will be appreciated by the true music listener. I want to thank the musicians I have had the honor to work with, so many greats, Thank You.